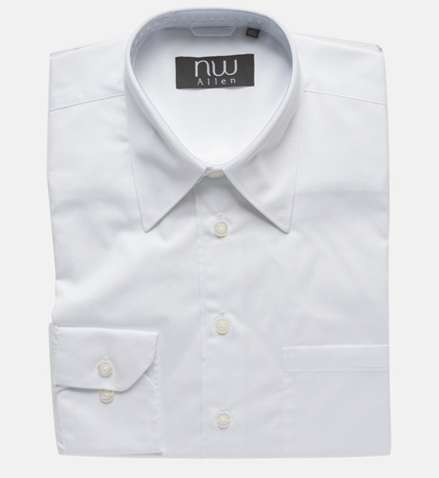 NW Allen Stain Resistant White Oxford Dress Shirt Only $9.99 + FREE Shipping (Reg. $39.99)! You are here: Home / Great Deals / NW Allen Stain Resistant White Oxford Dress Shirt Only $9.99 + FREE Shipping (Reg. $39.99)! Wow! Check out this HOT deal on this NW Allen Stain Resistant White Oxford Dress Shirt priced at only $9.99 + FREE Shipping (Reg. $39.99)! They have lots of sizes available right now, so hurry! NW Allen uses C-6 technology which is a special Eco-friendly treatment that allows the clothes to be stain resistant, water repellent, fade resistant, odor repellent and wrinkle free.